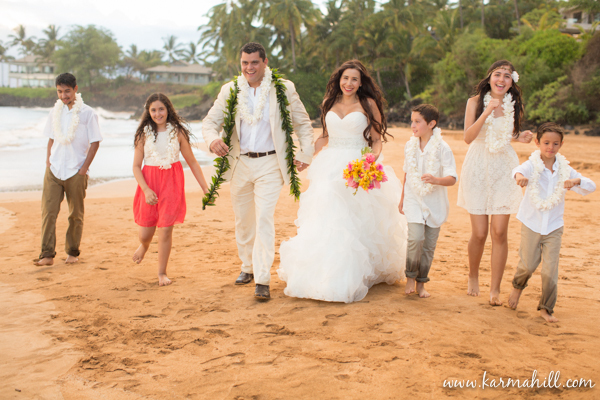 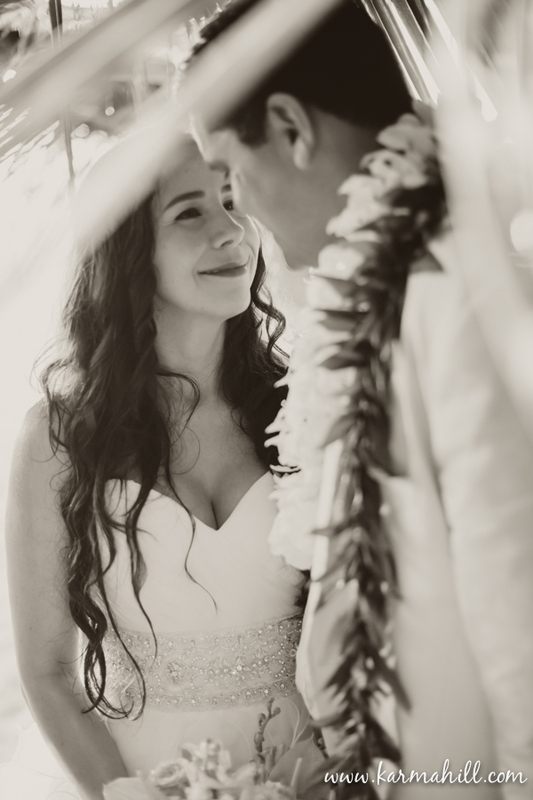 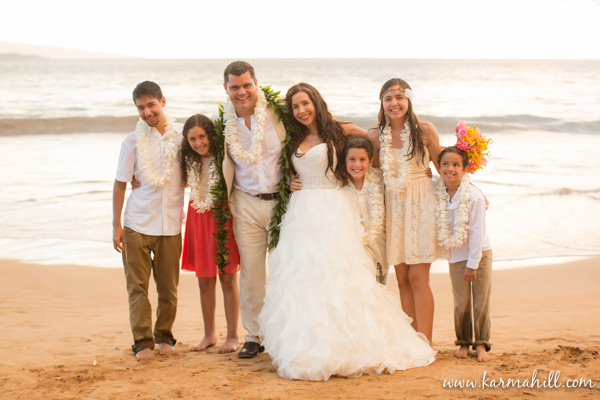 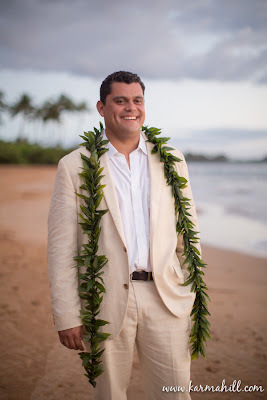 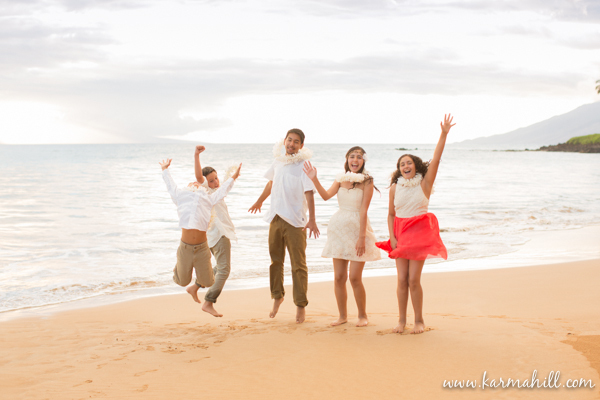 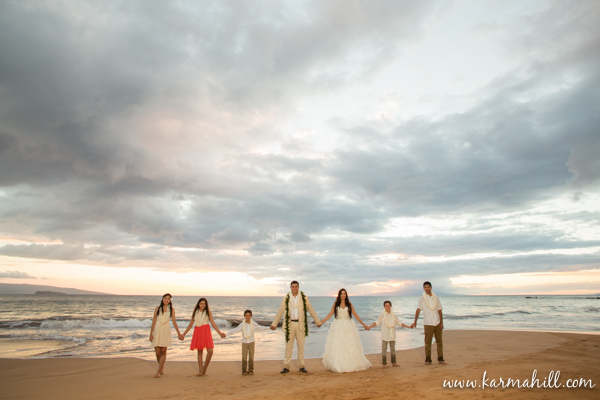 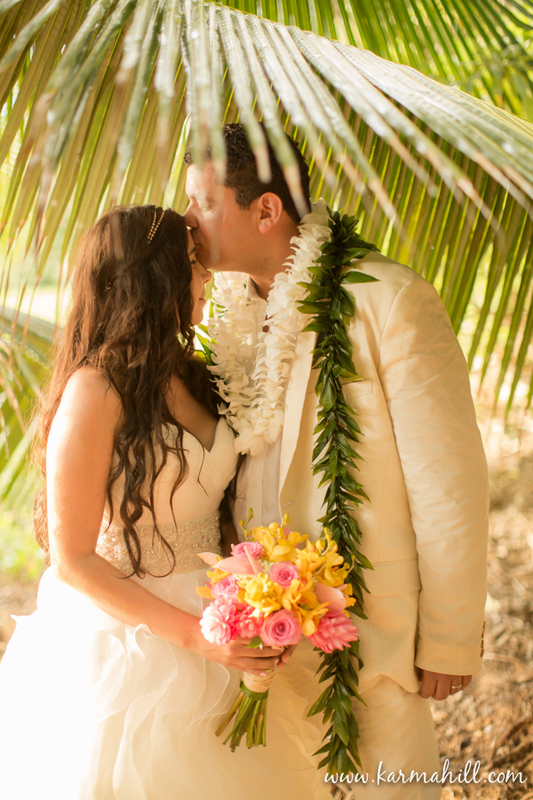 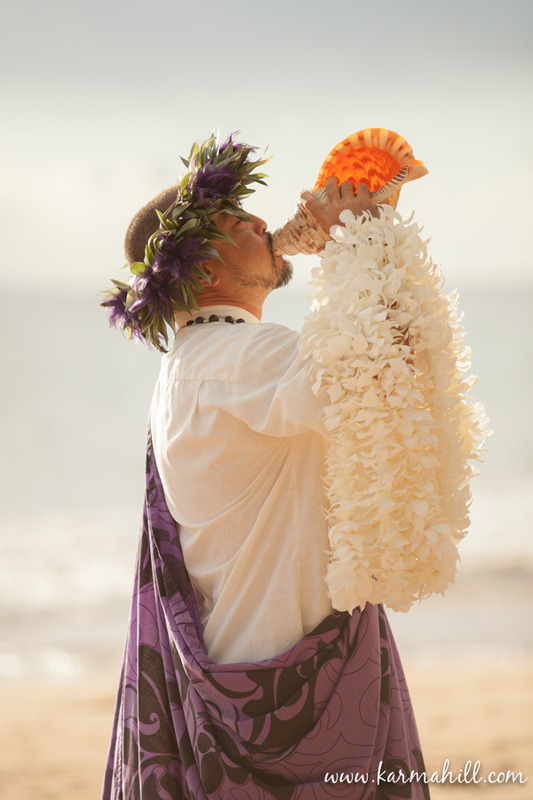 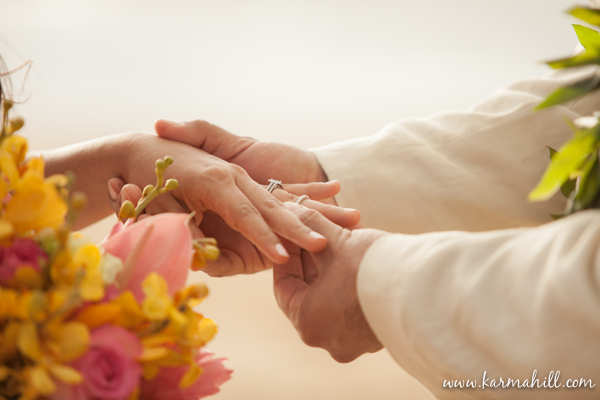 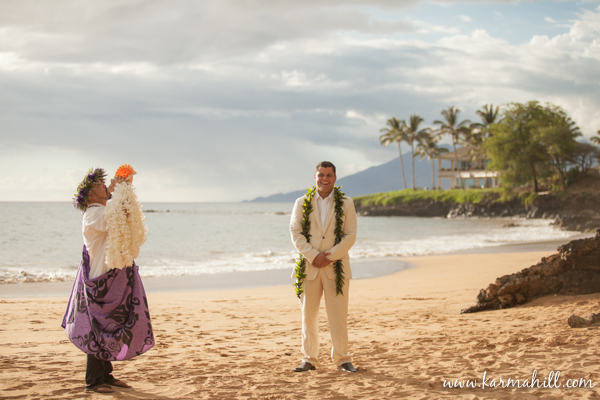 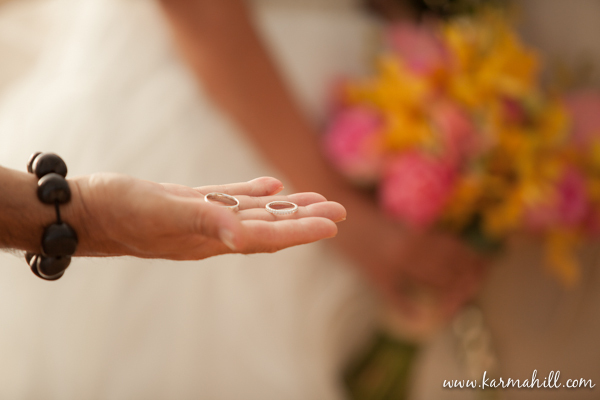 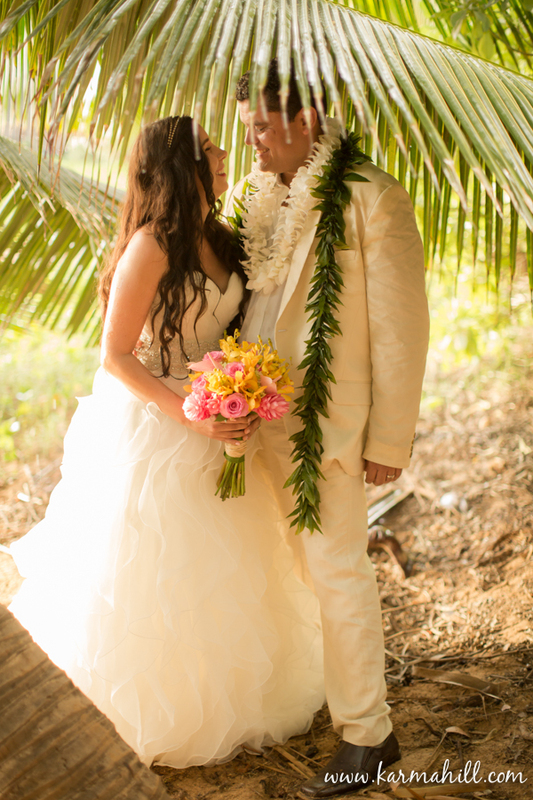 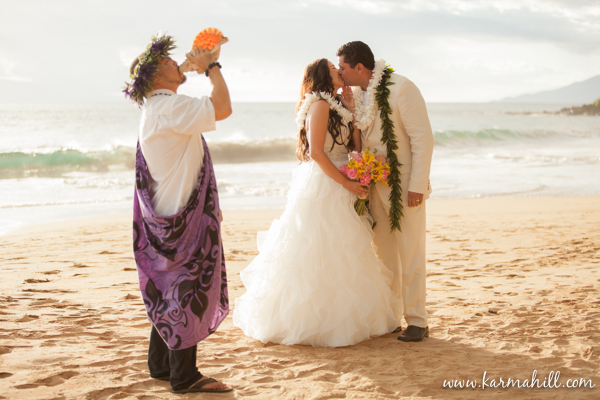 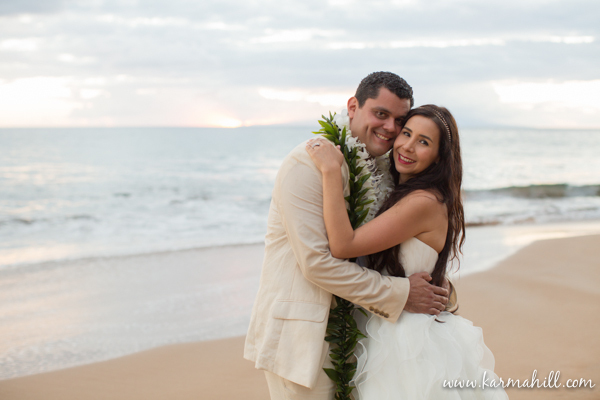 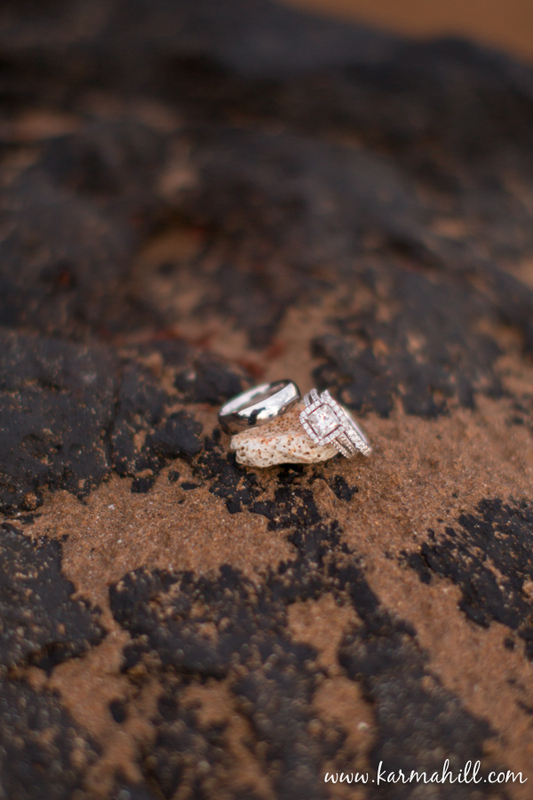 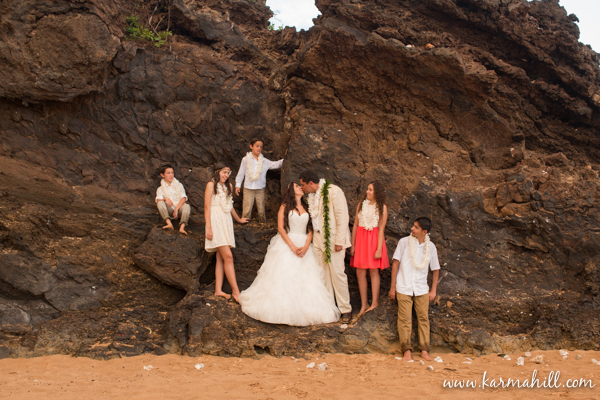 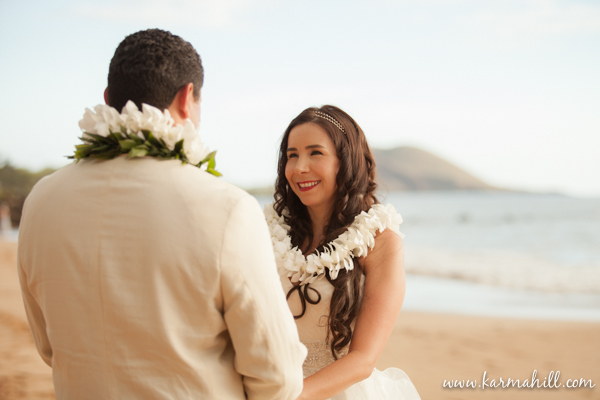 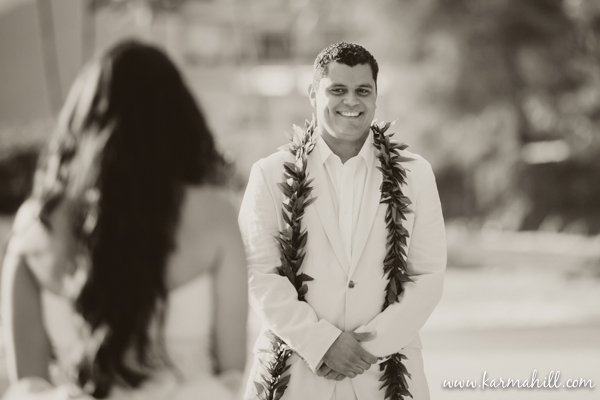 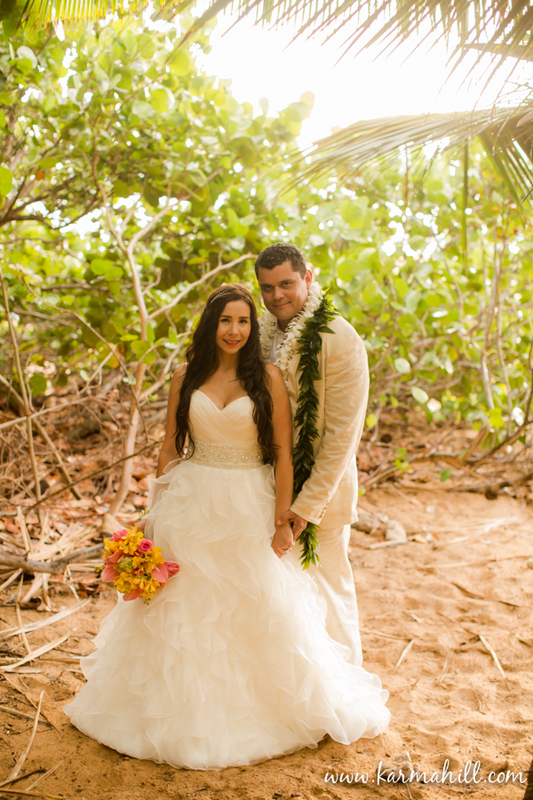 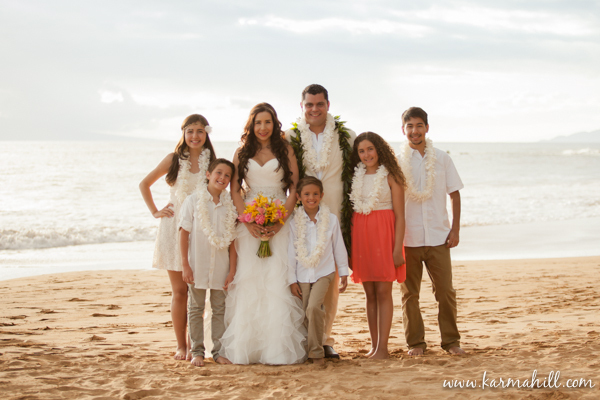 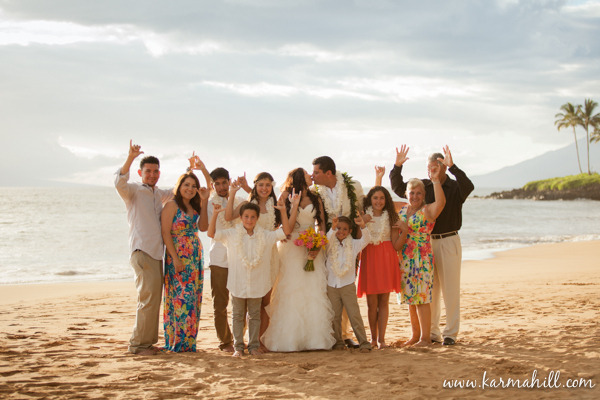 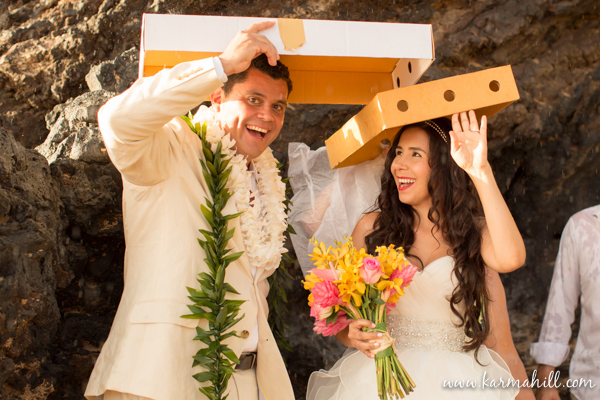 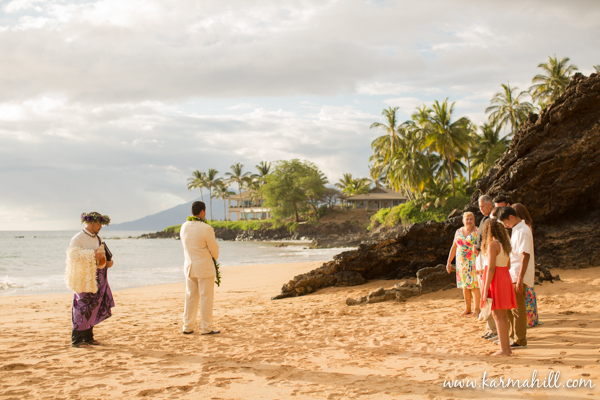 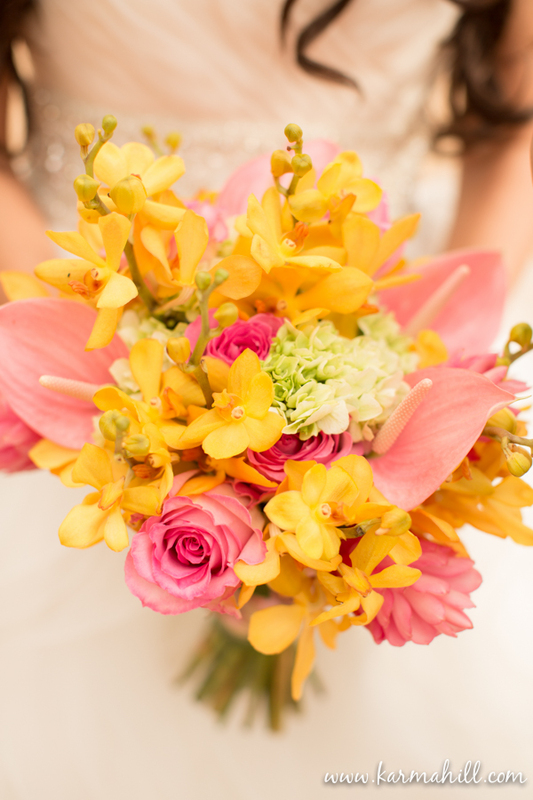 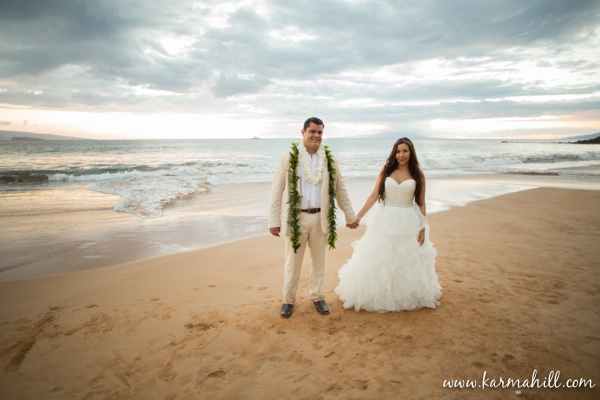 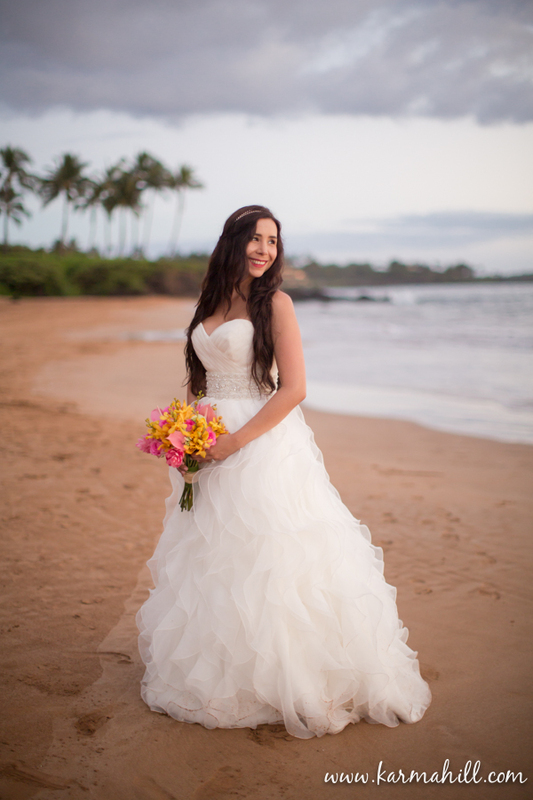 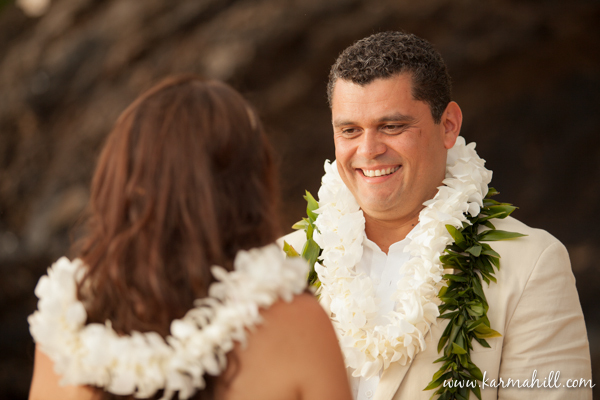 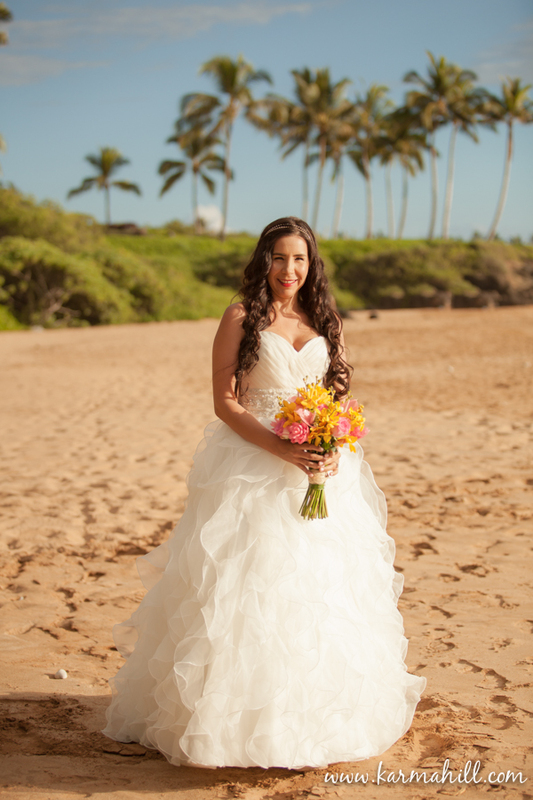 It started out a bright sunny day for Faye and Rick's Maui Wedding, but after their beautiful ceremony a rouge cloud over Haleakala decided to bless their wedding day, while the sun was still brightly shining! 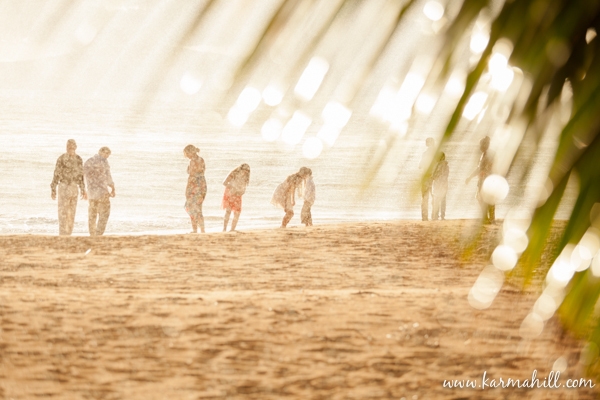 The kids had a great time playing in the rain while the couple ducked under any available cover, we ended up making the best of it with some romantic shots under the palm trees and some fun ones of the kids having a blast. 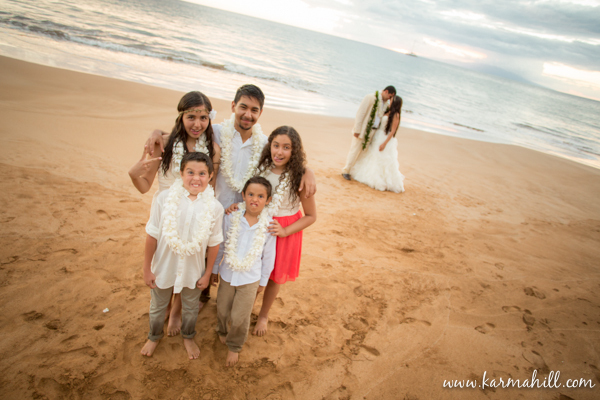 The couple wanted a heavy focus on the newly created family for their wedding photos so we got lots of fun family shots. 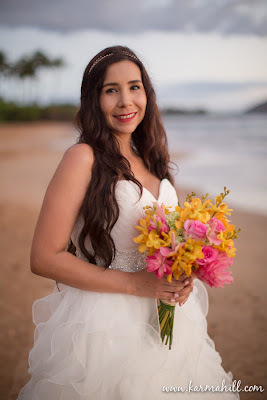 Stay tuned for the couples fun and sunny trash the dress session!